Tell MoJo what makes your home unique and get a free valuation report with personalized recommendations within 24 hours. Enter your address and confirm the details about your home. Snap relevant photos of your property (Don't worry - MoJo will guide you along the way). Tell MoJo about any special or unique features of your property. Sit back and receive your report within 24 hours. Automated Valuation Models (AVMs) across the web are running amuck with wildly inaccurate estimates. It's time to meet MoJo. 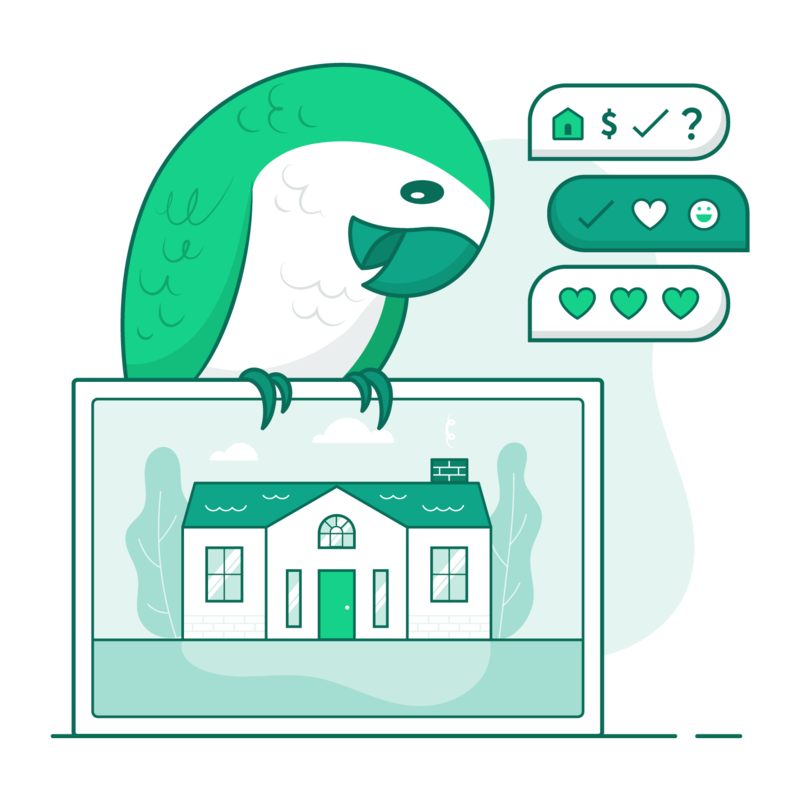 Jovio's AI-Powered Home Estimate chatbot. MoJo was built for you, the homeowner. Receive an accurate home estimate and personalized recommendations on how to start the selling process. No strings attached, zero pressure from a realtor.